Enjoy your stay with a typical Australian family who genuinely care about backpackers. 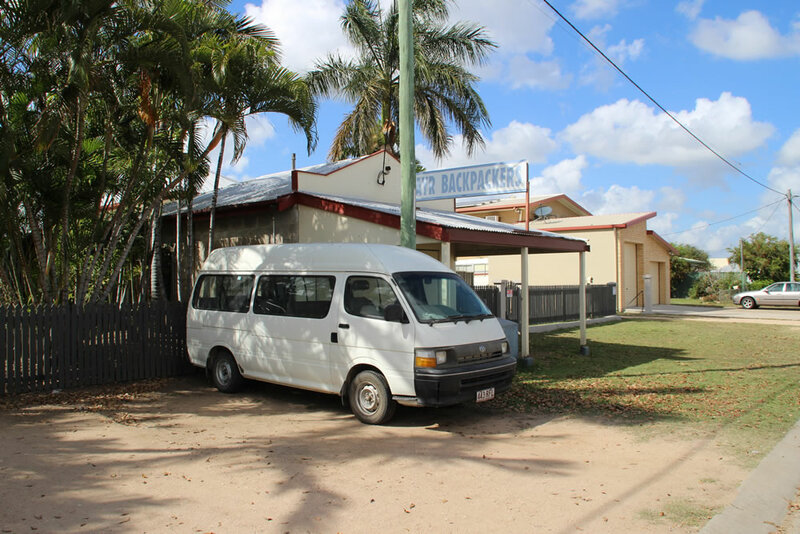 We are the well regarded working backpackers hostel of the Burdekin District. We offer quiet and safe, clean dormitory accommodation in our two Queenslander style hostels set amongst lush tropical gardens, yet only a five minute walk to the centre of town or a two minute walk to Coles Supermarket. We have two TV/Video rooms with a collection of free videos to use as well as books to read. We have free board games, table tennis and snooker tables as well as a collection of balls to use on the grass volleyball court or with the basketball hoop. Workers are wanted from March to December! Dormitory style accomodation in our 2 Queenslander homes, ranging from 2 to 10 person per room, fully fanned. We have brand new fast internet cafe as well as wireless connections. We offer 5 full kitchens and 6 bathrooms, lockers and luggage storage and much more..
Scuba Diving, Sky Diving, Cinema and lots more.